Zone 8. Lemon Bacopa. Flowers June, July, August, September. 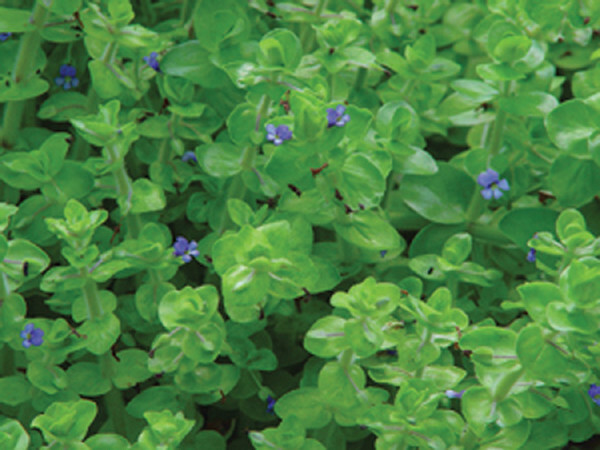 Dense green foliage is covered with delicate blue blossoms that persist all summer. Intense lemon scented foliage. 2" to 6" tall.